Don’t let the flu get the best of your business. 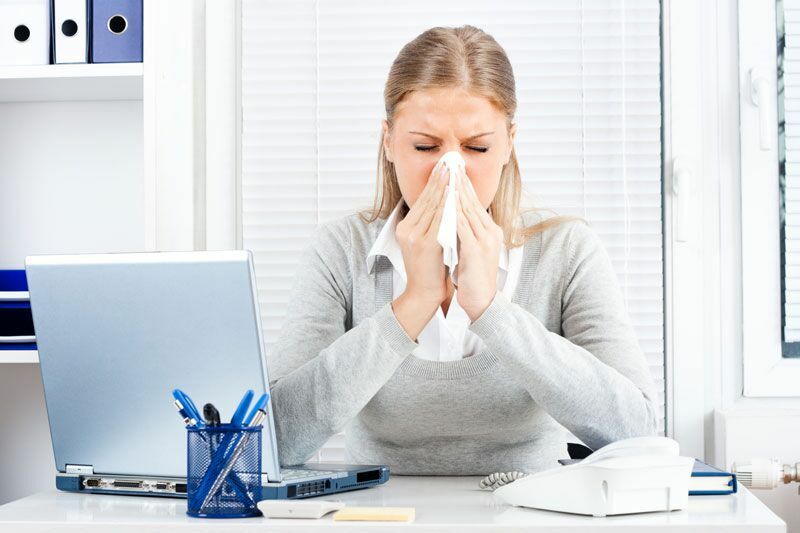 Unfortunately for businesses, an office is the perfect breeding ground for the flu to spread. However, if you’re a business owner, there are still some things you can do to protect your business from the ravages of the flu. Fight back against the flu by taking these precautions around your office. One way to prevent the spread of flu through your office is by encouraging your employees to take preventative health measures. For instance, you can encourage employees to get their annual flu shot before coming into work. Additionally, you can suggest that employees drink lots of fluids, take immune-boosting supplements, and get enough sleep every night. These suggestions will help keep your employees strong enough to fight off the nasty virus. Another way to battle against the flu is by practicing good hygiene around the office. For instance, you should encourage your employees to wash their hands as frequently as possible. They should be especially careful to do so after shaking hands or handling equipment that others have touched. Additionally, you can offer hand sanitizer and anti-bacterial wipes for your employees to use. This will help keep your office a more sanitary and flu-free environment. Finally, one of the best ways to stop the flu in its tracks is by sending sick employees home. If you notice an employee starting to sniffle or cough, encourage them to work from home or take sick time. Keeping sick employees out of the office will stop them from infecting the rest of your workers. Try out these strategies to protect your office and employees from the flu this year. Remember, another way to keep your business safe is by having the right insurance protections in place. To find the right policy to fit your needs, contact the team at The Schwab Agency in Colleyville, Texas. Our experts are ready to assist you with all your insurance needs.